Shalom, and we hope this note finds you and your families well. "A miracle happens when a child enters into life. Those who make their journey home across time and miles, understand that the bond of an Adoptive family is held in the heart of a soul that has been saved. The hearts of those who have waited to love them and those who await the joy of a family need our support." JFS has supported many adoptive families and is proud to be a catalyst in the adoption process and in helping many children gain families. Now we ask for your support in difficult times. Our fund raising effort this fall is called the Garden of Hopes and Dreams. 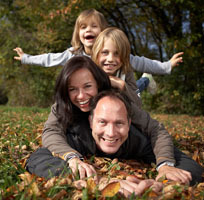 We provide many services and continued support for our community and adoptive families. 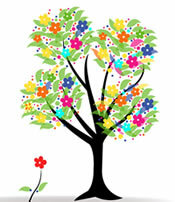 We ask you to make a contribution to our organization in your families' name, or your child's name, by purchasing a flower on our fund-raising tree displayed in our office. You will receive a certificate of the tree for you to post or frame. We have set the minimum price of each blossom at $180; a price that we hope is affordable for most of our families as well as symbolic. In the Jewish tradition, multiples of the number 18 are symbolic and represent Life. We hope that those families that can afford more than the $180 per blossom will be generous in their contributions as well. We are proud to be of service to so many families. During difficult economic times adoptions decrease and children are left waiting. Your donation could make the difference to a child needs a forever family. For those of you seeking to adopt through the Department of Children and Families, here is some information regarding events for prospective adoptive parents.